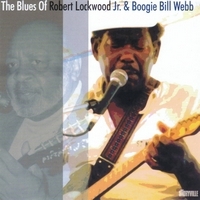 U bent hier: Parsifal > News > Products > simple > Robert Lockwood Jr. & Boogie Bill Webb – The Blues Of Robert Lockwood Jr.
Robert Lockwood Jr. & Boogie Bill Webb – The Blues Of Robert Lockwood Jr.
A pair of complementary if unrelated sets are combined together on this single CD. 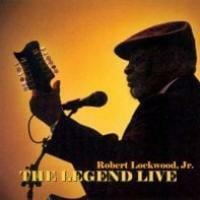 Singer/guitarist Robert Lockwood Jr., who was the stepson of the immortal Robert Johnson, shows that he was still a very vital bluesman in his own right in 1984. Lockwood performs solo before an audience, mostly sticking to classic blues (including numbers from Leroy Carr, Roosevelt Sykes, Robert Johnson, and his own originals), but also playing a credible jazz version of "Exactly Like You." The final six numbers were performed in the studio by the duo of guitarist Boogie Bill Webb and Harmonica Slim. Webb and Slim take turns singing, with "Harmonica Blues" being an instrumental. Their duets are charming and give one the impression of listening in on a house party. Both of these blues sets are quite enjoyable, making this an easily recommended set of timeless music.